Last week, I was browsing through my photos in Lightroom and was surprised to see some old shots that were worth post processing. Sometimes it's nice to go back through your old photos and be surprised with what you will find. Sharing you this one from October of last year taken with an $8 Tripod and Sony RX100, my first ever camera, set to long exposure of 30sec. I was able to capture the breathtaking city view at night from Marina Bay Sands, Singapore. 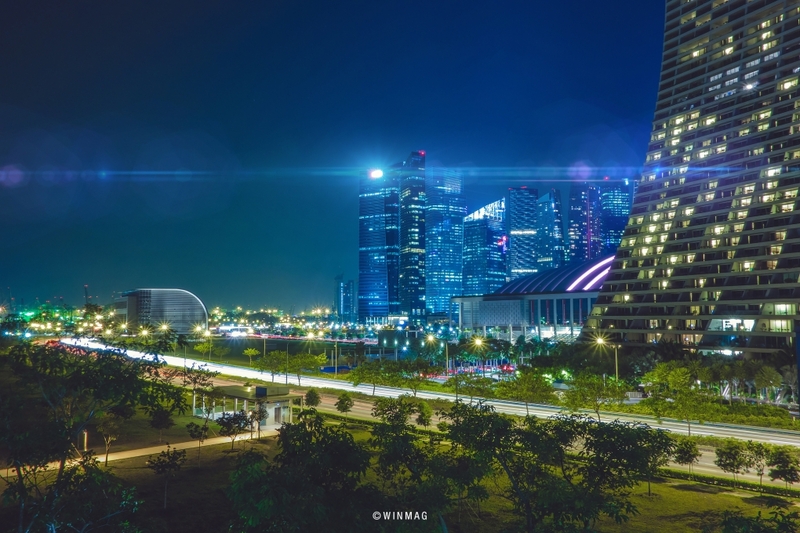 PP done in Lightroom, added anamorphic flares in Photoshop for the futuristic feel.